If you have a wet basement, moldy crawl space or settling poured concrete foundation you need an effective solution from a company whose expertise, reliability and workmanship is second-to-none. That's exactly what you will get with us. Have questions? Just let us know and we will be happy to explain what is wrong and how we will fix it ... we are here to help. If you are dealing with basement, crawl space or poured concrete foundation problems and live in Edmonton, Viking, Swan Hills, or nearby give us a call. 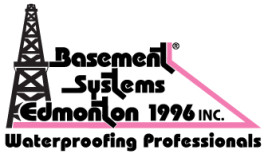 As a locally owned and operated waterproofing company, Basement Systems Edmonton is dedicated to serving our local community with the best practices and products in the industry. As Basement Systems members, we re part of the worlds largest network of independently owned and operated contractors, located throughout the United States, Canada, and the United Kingdom. As members, they have access to over 25 patented basement waterproofing products, year-round trainings with leaders in the basement waterproofing industry, and the benefits of a full time RD and Dealer Support facility. And as their customers, you have the benefit of knowing that youre working with a reputable, established company thats backed by an international network. "Basement Systems also referred us to a handyman who would..."
"I am very happy with the company and their product. I've..."
"Absolutely thrilled with the level of professionalism with..."
Basement Systems Edmonton wants to show you that their services and products are the best ones on the market. To help you decide, we offer free, no-obligation basement & crawl space waterproofing estimates in Edmonton and throughout their Alberta service area. Your Free Estimate will include a professional on-site inspection and measurement of your basement, a customized system design based on what you'd like to do with your basement or crawl space, and a free, written quote.